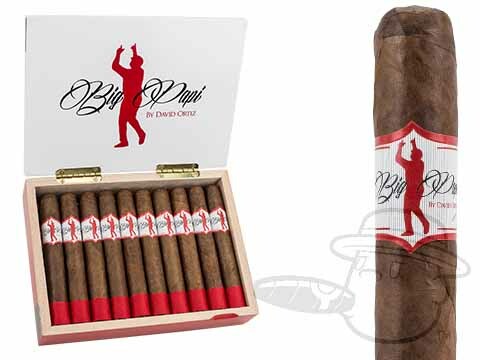 Get ready for some BIG Dominican flavor, because the Big Papi Toro cigar by David Ortiz has arrived. Handmade at Tabacalera El Artista (home of Exactus and Puro Ambar cigars) and created in partnership with the recently retired baseball star David Ortiz, the Big Papi is comprised of an Ecuadorian Habano Claro wrapper and Criollo 1998 binder over extensively-aged fillers from the Dominican Republic and Nicaragua. The resulting smoke is smooth and sweet with notes of coffee, nuts, and just the right kick of spice - a real home run. This limited-run blend will not be around forever - step up to the plate and grab your batch now!